A reliable and professional all-trades reactive and planned maintenance, refurbishment and construction company based in Alcester, Warwickshire. With a solid reputation for quality, consistent reliability, exceptional client liaison and sensitivity to the special needs of education and healthcare. What’s more, we’re well-known for delivering projects on time and to budget. Trust us to be there, wherever and whenever you need us. Specialist building refurbishment service, with a flair for minimising disruption, working at times to suit. Small business attitude with big business aptitude. Responsive and reliable service, in partnership to make your vision a reality. 2017 was a big year for Arden Construction. We celebrated being in business for 25 amazing years! Since 1992, Arden Construction has developed and maintained buildings for educational establishments and healthcare organisations as well as a range of industrial and heritage work for bespoke clients such as the Royal Shakespeare Company, Shakespeare Birthplace Trust, National Trust, Worcester and Coventry Dioceses, and the British Film Institute. We are proud of the many projects we have been involved in, and were thrilled to celebrate this milestone. To mark our 25 year anniversary, Arden Construction made a video showcasing some of our projects. 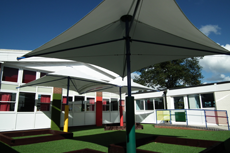 Want to discuss your construction requirements? 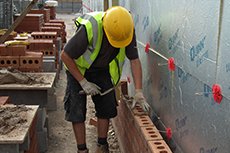 Over the years numerous local authorities, district and borough councils, city councils, NHS trusts, The National Trust and various private companies and organisations have trusted Arden Construction. Our workforce is locally sourced, motivated and highly trained, especially in customer liaison skills – something that’s hard to find in any other Warwickshire construction company, but which makes a huge difference to the quality of delivery of a project. We understand that your professional reputation depends on choosing the right service provider for your contract. That our clients choose to offer us repeat business rather than going to other construction contractors speaks volumes for our quality and dedication. With decades of experience in building large and small scale construction projects, and managing maintenance and refurbishment projects in some of the trickiest and most sensitive environments, your project is in the safest hands with us. We operate around the clock, every day of the year. We’re there when you need us most, no matter what time of day or night, so we can help you minimise downtime and disruption to your business. At Arden Construction our phones are manned by experienced construction managers, so you’ll always get in touch with someone who really knows how to help you.